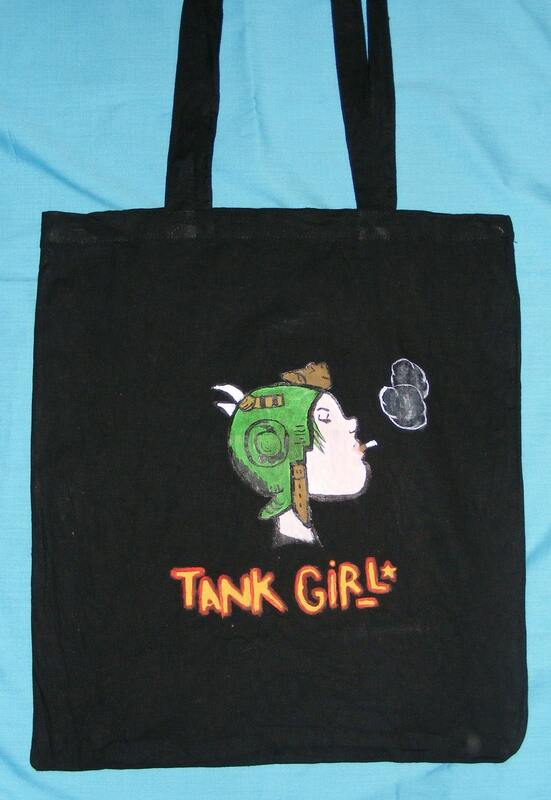 Black natural cotton tote bag with hand painted Tank Girl face and text. Acrylic paint was used and the bag washed to seal the design. I hand painted this design free hand so this is a one of a kind bag! This is a really unique bag and is perfect to do your shopping in style! Folksy :: Buy "Pleated Tote with Adjustable Strap Retro Country in Moda Cotton "
Folksy :: Buy " FUNKY SHOPPER BAG / TOTE BAG / BEACH BAG"